TOKYO -- Toyota Motor Corp. spent nearly 80 years building a behemoth capable of outselling the rest of the auto industry. It's now its staking long-term survival on how to be nimbler in responding to fundamental shifts in what its customers want through a data-sharing partnership with newcomer Uber. The automaker needs to operate with a sense of crisis to keep pace with customers wanting cars to be cleaner, connected and capable of autonomous driving, Executive Vice President Didier Leroy said Wednesday. 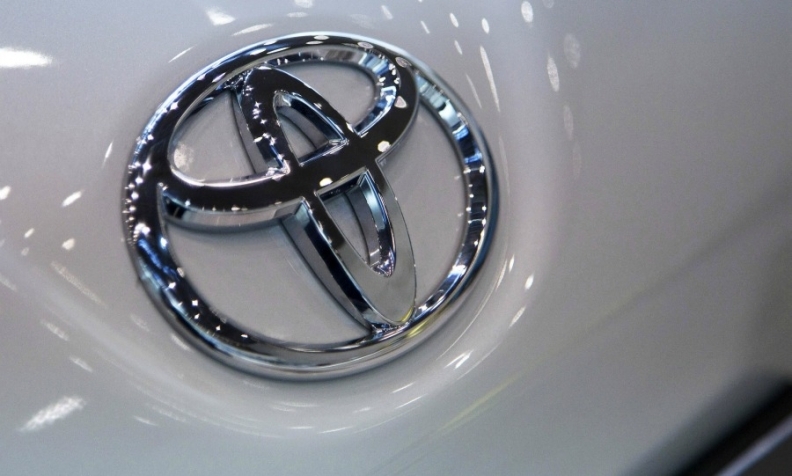 The Frenchman has set out to arouse passion among Toyota's bureaucratic ranks in the more than six months since President Akio Toyoda revamped the company into seven business units and named Leroy chief competitive officer. "In this kind of fast-moving world, nobody can say we are protected, nobody can say we have cash," Leroy, 58, told reporters in Toyota's Tokyo office. "Everything can disappear very quickly." After notching three consecutive annual profit records, analysts estimate Toyota's industry-leading earnings will tumble this fiscal year largely due to a stronger yen. The automaker's limited presence in China relative to closest competitor Volkswagen Group may also cost the company its worldwide sales leadership after a four-year run atop the charts. Leroy, whose automotive career began 34 years ago on Renault's factory floors, suggested Toyota isn't focused on the 10 million annual sales scale coveted by his former boss Carlos Ghosn. During the next two decades, Leroy said, the industry's growth opportunities lie more in the emergence of data and mobility services than in delivering more and more vehicles. That's where Toyota's partnership with Uber comes in. While the tie-up is a head-scratcher at first glance -- CEO Travis Kalanick's stated mission has been to end car ownership -- Leroy said both sides have agreed to some elements of data sharing. "What we really want to learn through the partnership with Uber is how did they manage their data, how did they collect data, how they would use it," said Leroy, who's been on Toyota's board of directors since June 2015. "We can continue to learn and make sure we can grasp the appropriate information before it would be too late for us." Toyoda, 60, overhauled the automaker founded by his grandfather into seven in-house companies earlier this year. Their focuses range from vehicle segments, advanced research and development, to connected cars and powertrains. The reorganization continues a years-long effort by Toyoda to get the carmaker to get quicker and more agile. In 2010, Toyota and Tesla agreed to develop an electric version of Toyota's RAV4 SUV. While sales started in September 2012 -- a quick turnaround in an industry that often takes at least five or six years to bring a new model to market -- the partnership came to an abrupt end in 2014. Toyota's experiments with projects tying together car-sharing and connectivity services are also taking place in Leroy's native France. The carmaker is two years into a three-year project in the French Alps city of Grenoble, where more than 1,000 commuters use a smartphone app to book rides on trains, buses, short-range Toyota electric vehicles and spaces to park them. "We don't have any question mark about the fact that there is a real potential for this kind of business for the future," Leroy said. "Obviously, there is."